If you’ve been a Windows 7 user and went directly to Windows 10, you might be wondering why you can’t play DVDs. Here’s a look at free options to add it. 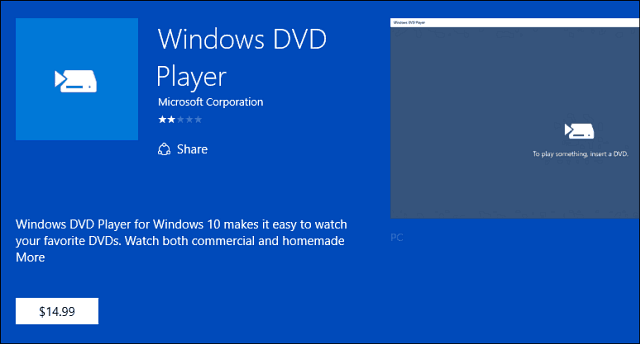 If you’ve been a Windows 7 user and went directly to Windows 10, you might be wondering why you can’t play DVDs. Microsoft killed off DVD playback support in Windows 8 and that has extended to Windows 10 as well. While streaming movies and video content through services like Netflix and Amazon Video is popular, sometimes you’ll need to use a DVD on occasion. 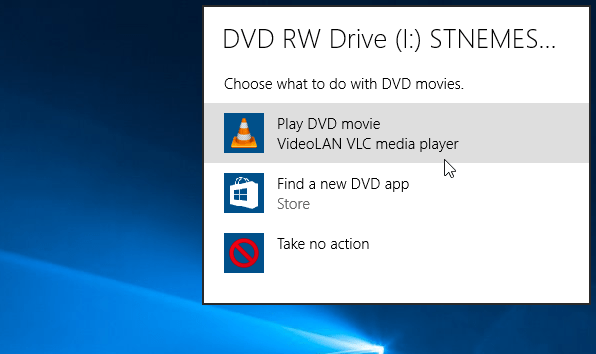 If you want to play a DVD or Blu-ray on your Windows 10 PC, you have several options. If fact, we took a look at six different programs for playing DVDs on Windows 8. All of those options will work with Windows 10, sans Windows Media Center, which Microsoft has completely killed off. Our best suggestion for playing DVDs (as well as virtually any media file type) is using VLC. It’s fast, easy to use, and once you start digging into it, there’s a lot of power under the hood. Pop in your DVD and when AutoPlay comes up, select VLC. If you have AutoPlay disabled, go into This PC > Devices and drives. Then right-click the DVD drive and select Open AutoPlay or just double-click it if you already have VLC set as your default app for DVDs. VLC will start up, and you can enjoy the flick. It’s not clear how long this offer is available, but Microsoft says it’s for a limited time. Also, if you upgraded one of the versions of Windows listed above to 10, the DVD Player app should automatically download via Windows Update. To find out more about getting the Windows DVD Player app, check out this FAQ from the Microsoft Community. If you miss the “limited time” window or did a clean install, you can still get the DVD app, but it costs a ridiculous $14.99 in the Store. Also, according to the user reviews, it currently has a dismal 1.9 rating. So, for those reasons, we recommend using VLC. If your PC has a Blu-ray drive, you can just use the software that came with it. 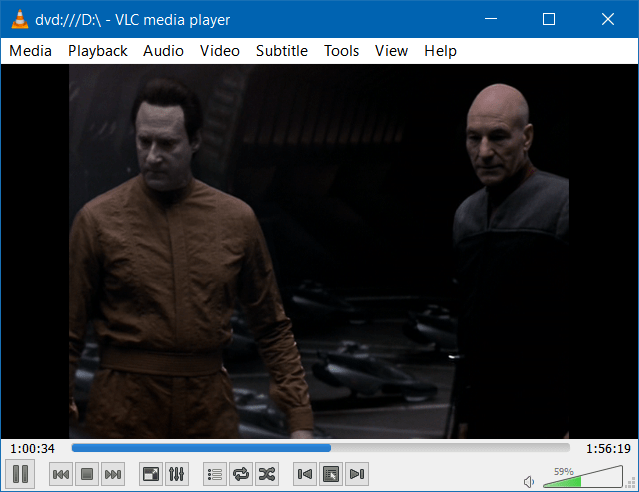 VLC also has experimental Blu-ray support, too. But I haven’t been able to get that to work very well. I have downloaded VLC twice and after about 19mins the sound went off. I tried all suggested solutions, but none worked (that’s why it was downloaded twice). You said you had 6 programmes – what are the other 4 for Windows 10? Cheryl Keane: Click on the link “playing DVDs in Windows 8” in paragraph 3 at the top of the page. These days most do not come with software anymore and there are basically no good pc options available. I have used VLC 100 times on Win 10, reinstalled VLC three times, but VLC does not work in Windows 10. I am so angry with Microsoft who stops any other DVD player work. They are so mean and stupid people. I would have chosen any other OS instead of Win, but there don’t exist and I am not so familiar with Apple OS. I wish they go to hel.